Tara represents the wisdom and compassion of all the enlightened beings in a female form. Meditating on Tara is a very powerful way to identify and connect with our own inner potential for wisdom and compassion. The main purpose for practicing Tara meditation is to free us from all sufferings and their causes and bring us to liberation and awakening. It also helps to eliminate internal and external obstacles to the spiritual path and to being able to work for others. We will use a meditation outline (sadhana) with prayers, visualisation, and the mantra. This retreat day is aimed at those who have some familiarity with the Dharma. However, the retreat is also open to others who have a wish to connect with this practice. 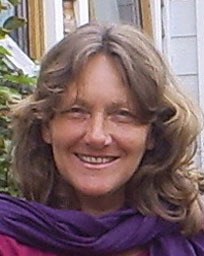 Involved with the Dharma since 1987, Margo has studied and practised both in the east and the west. She spends one month a year in retreat, and is keen to bring the Buddhist teachings and practices into our western culture, our lives and hearts through evening classes and retreats.